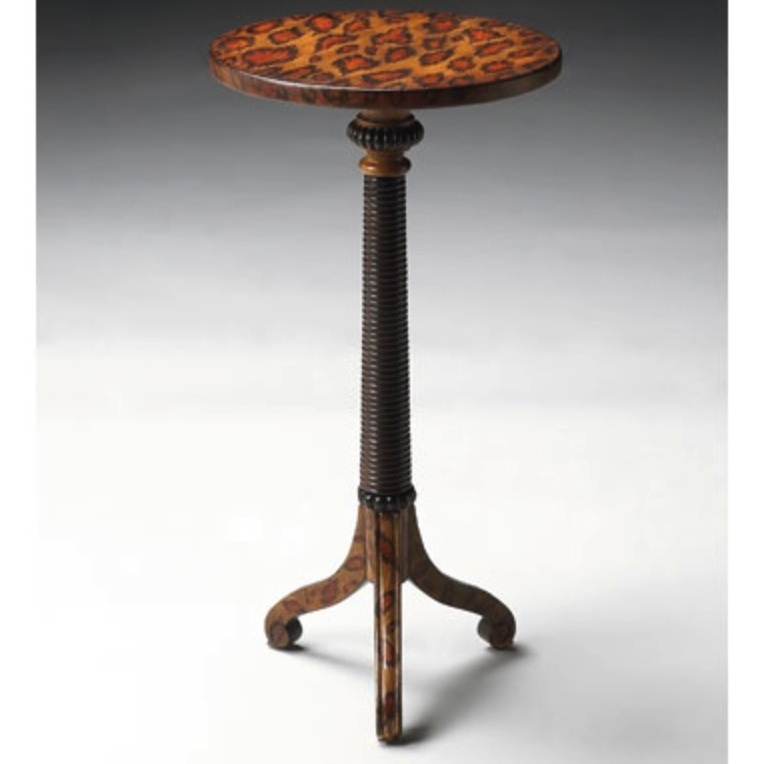 Fun decorative Leopard animal print end table. A great accent next to your favorite chair. Unique textured hand painted Leopard print design on solid woods.